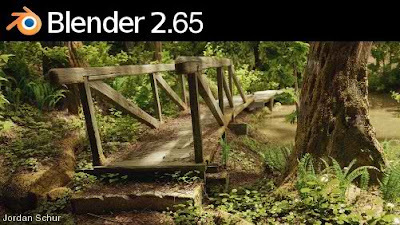 Blender 2.65 has been release with many new improvements and bugs fixes since it last release, it's available in ppa:irie/blender and ready install it through them. this version is available for Ubuntu 10.04 (Lucid) until Ubuntu 12.10 (Quantal). Blender provides a broad spectrum of modeling, texturing, lighting, animation and video post-processing functionality in one package. Through its open architecture, Blender provides cross-platform interoperability, extensibility, an incredibly small footprint, and a tightly integrated workflow. 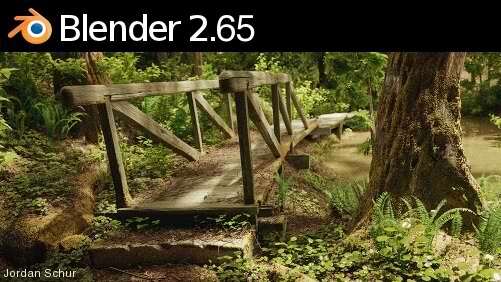 Blender is one of the most popular Open Source 3D graphics applications in the world. Fire simulation was added to the Smoke Simulator. This means that the performance and usability of these particular functions have been drastically improved. Smoke can now be emitted from mesh surfaces, without the need for a particle system. A smoke flow force field was added to improve the interaction with other simulations. Colored smoke simulation and mixing is now possible and the interaction of smoke with collision objects has been improved. Support for writing custom shaders in the Open Shading Language has been implemented. Motion blur rendering was also added to Blender 2.65 in order to make moving objects and cameras appear blurry. An anisotropic shading node has been added and the BSDF nodes can now have different normals.